It is important to take into account the possibility of negative, unintended consequences of corridor creation in their design. In the same ways that corridors may facilitate movement of rare, endangered, or declining species, they may also increase dispersal of unwanted species, such as invasive species, or antagonists (predators or diseases) of conservation targets. For the most part, researchers have not encountered negative effects of corridors in conservation. Yet, work is still needed to understand when and where corridors can have negative effects. Perhaps the most important negative effect of corridors is introduced because of their long and narrow shape. This shape creates boundaries between conservation and degraded areas. Species tend to behave differently at these boundaries, or edges, of habitat fragments, and there is concern that in creating habitat patches such as corridors, the high ratio of edge to area might be detrimental to species using the corridor. This concern is somewhat supported by research; because of edge effects, some species do experience corridors as habitat sinks or ecological traps. When edge effects are negative, they should be planned for and mitigated against when designing corridors. Johnson, B.L., and N.M. Haddad. 2011. 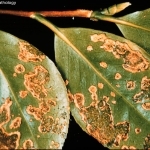 Edge effects, not connectivity, determine the incidence and development of a foliar fungal plant disease. Ecology 92:1551-1558. King D.I. et al. 2009. Effects of width, edge and habitat on the abundance and nesting success of scrub-shrub birds in powerline corridors. Biological Conservation 142: 2672-2680. Another concern about corridors is that they may increase predation rates. If prey are dispersing through corridors, this may provide the perfect bottleneck of which a predator can take advantage. This, also, is a valid concern that is not strongly supported by scientific evidence. There is no clear evidence that predation rates universally increase in a negative way due to corridors, although the relationship between predation and corridors is complex. Orrock, J.L. et al. 2003. Spatial ecology of predator-prey interactions: corridors and patch shape influence seed predation. Ecology 84 (10): 2589-2599. Gilliam J. F. and D.F. Fraser. 2001. Movement in corridors: enhancement by predation threat, disturbance and habitat structure. Ecology 82 (1): 258-273. Related to effects of corridors on predation, diseases and other parasites may also utilize corridors to enhance dispersal and transmission. Evidence to date suggests that some parasites particularly those that are dispersed by animals, move more frequently between patches connected by corridors. 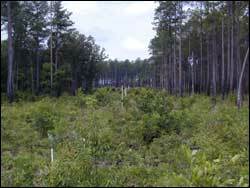 But there has been no evidence that this reduces the persistence of species in restoration or conservation. Simberloff, D. et al. 1992. Movement corridors: conservation bargains or poor investments? Conservation Biology 6 (4):494-504. Sullivan L.L. et al. 2011. Can dispersal mode predict corridor effects on plant parasites? Ecology 92 (8): 1559-1564. There has been little evidence that corridors created in conservation or restoration increase the spread of invasive species. These species are generally excellent colonizers, regardless of whether there are corridors. 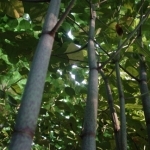 Recent research has suggested that corridors may influence the spread of some invasives, although the effects may be transient. Vila, M. and I. Ibanez. 2011. Plant invasions in the landscape. Landscape Ecology 26(4): 461-472. Resasco, J. et al. 2014. Landscape corridors can increase invasion by an exotic species and reduce diversity of native species. Ecology 95(8): 2033-2039. Below are examples from corridor research that show the specific effects corridors can have, both in positive and negative ways. Corridors increase plant biodiversity not only within targeted habitat but also in surrounding non-targeted habitat (biodiversity spillover). Brudvig, L.A., et al. 2009. 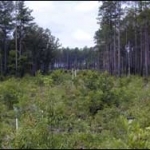 Landscape connectivity promotes plant biodiversity spillover into non-target habitat. Proceedings of the National Academy of Sciences 106:9328-9332. Habitat patches connected by corridors retain more native plant species than isolated patches, and corridors do not promote invasion by exotic species. Damschen, E.I., et al. 2006. 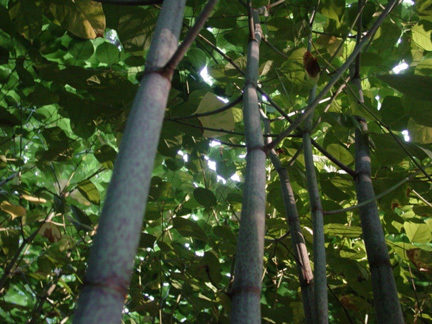 Corridors increase plant species richness at large scales. Science 313:1284-1286. Corridors increase movement rates of butterflies between patches. Haddad, N.M. 1999. Corridor and distance effects on interpatch movements: a landscape experiment with butterflies. Ecological Applications 9:612-622. Corridors are useful in large landscapes and preferentially used by habitat specialists to move. Gillies, C.S. and C.C. St. Clair. 2008. Riparian corridors enhance movement of a forest specialist bird in fragmented tropical forest. Proceedings of the National Academy of Sciences 105 (50): 18774-18779. Corridors increase the movement of birds between fragmented patches. Levey, D.J., B.M. Bolker, J.J. Tewksbury, S. Sargent, and N.M. Haddad. 2005. 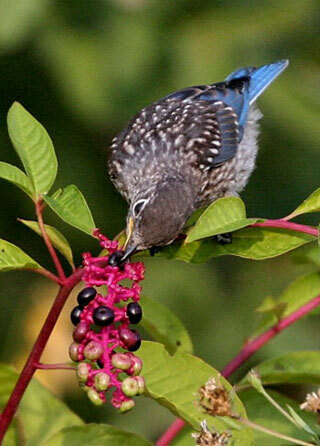 Effects of landscape corridors on seed dispersal by birds. Science 309:146-148. Corridors increase pollen transfer between patches. Kormann, U., et al. 2016. Corridors restore animal-mediated pollination in fragmented tropical forest landscapes. Proc Roy Soc B 283. DOI: 10.1098/rspb.2015.2347. Corridors are used by dispersing mammals. Beier, P. 2005. Dispersal of juvenile cougars in fragmented habitat. Journal of Wildlife Management 59 (2):228-237. Tropical rain forest fragments with high connectivity including corridors can sustain high levels of bird species and individual birds. Martensen, A.C., et al. 2008. 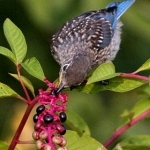 Relative effects of fragment size and connectivity on bird community in the Atlantic Rain Forest: implications for conservation. Biological Conservation 141 (9): 2184-2192. Higher connectivity does not increase disease transmission for facultative pathogens. Heard, G.W., et al. 2015. Refugia and connectivity sustain amphibian metapopulations afflicted by disease. Ecology Letters 18: 853-863. Corridors can promote extinction by fixation of harmful alleles when disturbance is high. Orrock, J. L. 2005. Conservation corridors affect the fixation of novel alleles. Conservation Genetics 6:623-630. Seeds primarily consumed by rodents suffer higher predation rates in patches connected by corridors. Orrock, J.L. and E.I. Damschen. 2005. Corridors cause differential seed predation. Ecological Applications 15:793-798. Corridors can increase incidence of biotically dispersed parasites. Sullivan, L.L., et al. 2011. 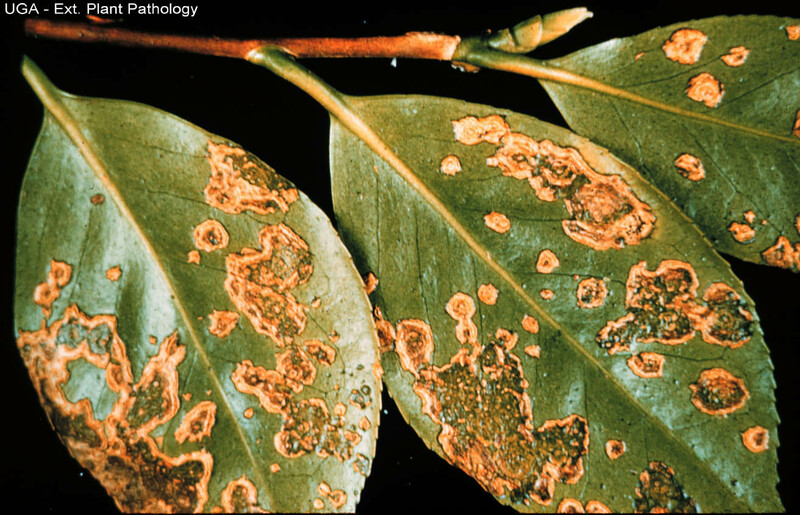 Can dispersal mode predict corridor effects on plant parasites? Ecology 92:1559-1564. Corridors may create an ecological trap for birds through increased predation rates due to edge effects. Weldon, A.J. and N.M. Haddad. 2005. The effects of patch shape on Indigo Buntings: evidence for an ecological trap. Ecology 86:1422-1431. Corridors can sometimes act as sinks when high quality patches are nearby. Krewenka, K.M. et al. 2011. Landscape elements as potential barriers and corridors for bees, wasps and parasitoids. Biological Conservation 144: 1816-1825. Corridors may increase invasion by some exotic species. Resasco, J., et al. 2014. Landscape corridors can increase invasion by an exotic species and reduce diversity of native species. Ecology 95: 2033-2039.